Juggling is fun, engaging and challenging, which gives rise to opportunities for flow! The new vision clubs are the hottest clubs available - next level juggling clubs with many amazing adjustable modes, wireless connectivity and designed to handle like Henrys pirouettes even with all the electronics. 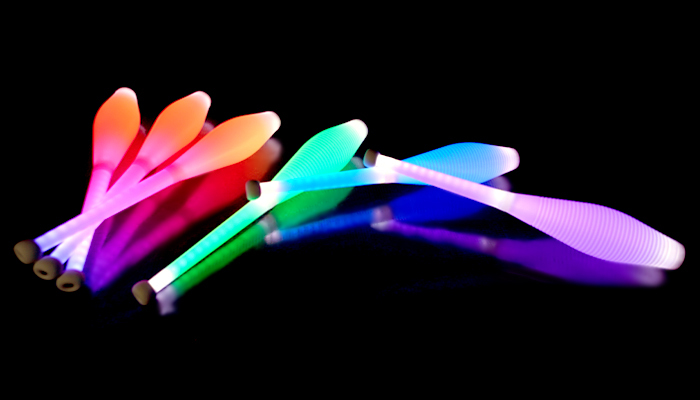 Flowtoys LED flower sticks, juggling poi & staffs, and rhythmic gymnastic clubs use ultra-light carbon fiber shafts, 3D-printed compression connectors, and the versatile capsule light to bring you superior equipment.